When I was thinking up ideas for my YouTube channel - I came across lots of slang videos and posts and I thought why not do an A-Z of Scottish Slang. 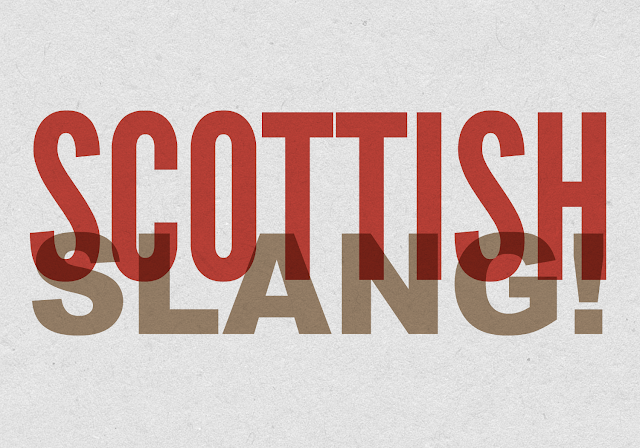 Some people might refer to these as just 'words' or perhaps 'slang' so this is my take on them. I went home for Christmas this year and I have to be honest and admit that I do miss the accent so I thought I'd start this year off with a Scottish inspired post. What I enjoy about Scottish words is that so many people think we make up words or they don't actually exist. I do get odd looks when I saw words like 'a cheese piece' (meaning a cheese sandwich) or tattie soup (meaning potato soup).